Two years ago, I cut down my day job to create more time for my writing. For a couple of years, it was wonderful. I wrote a lot. I wrote ‘Grub’s Pups’ and ‘Buttercup Magic’. I was able to explore a whole host of ideas. I wrote a 90,000 word novel, for goodness sake! I felt like a ‘proper writer’. But, as I’m sure is the case for many writers, it is not always possible to sustain this. Needless to say, my day job has taken hold again. Not only that, but life has been a tad challenging of late, and one thing a writer has to have is space in that bonce of theirs. Without that, there is no room to dream, to let the ideas twist and turn, no space to observe, to think, to philosophise, to ask questions, to develop character. It all goes out the window. The result of which is that those black swirly patterns in front of my eyes that bring me such joy, have, sadly, floated off into the ether. Time has been dedicated to other things, and much as I am the first to say ‘you can only write by writing’, lately this just hasn’t been possible. Well, as any writer in this position will know, it’s only a matter of time before you start pacing the carpet, climbing the walls, pulling your hair out, wringing your hands, because you AREN’T WRITING… even though, when you ARE WRITING, you spend much of your time pacing the carpet, climbing the walls, pulling your hair out… etc. So, what’s the answer? – rise half an hour or an hour early in the morning to write, before you do anything else. – look ahead at how your days are formed, and work out a time every day when you can write, even if it is only for 15 minutes a day, at the same time every day. To be honest, when I first read this, I took one look at the first suggestion and thought, ‘You have no chance’. 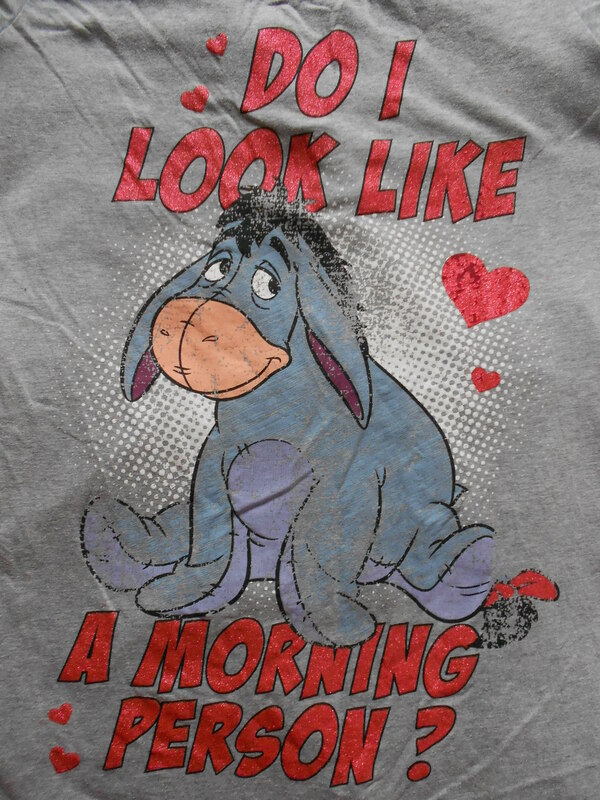 I am the wearer of an Eeyore nightshirt that states: ‘Do I look like a morning person?’… there is a reason for this! However, if I didn’t do it, then that would mean that I didn’t take myself seriously as a writer… Oh my god! Well, that was not an option. So I tackled the second idea first. I examined my days, and when I did this I worked out that by about 8pm I had usually cooked teas, walked the hound, washed the pots and done most of my teaching paperwork. So that was it then! And, I realised, I could have a WHOLE HOUR until 9pm. Then, if anything else needed seeing to, I still had a bit of time to do it after 9pm. I confess, I have struggled with this and have missed some days. The first day I wrote about how crazy the whole thing was and how I had no idea what to say and would much prefer to be asleep – but I spent ten minutes saying it and didn’t stop until my time was up. The same evening, I sat down at 8pm. I wrote for double my planned time – two whole hours! 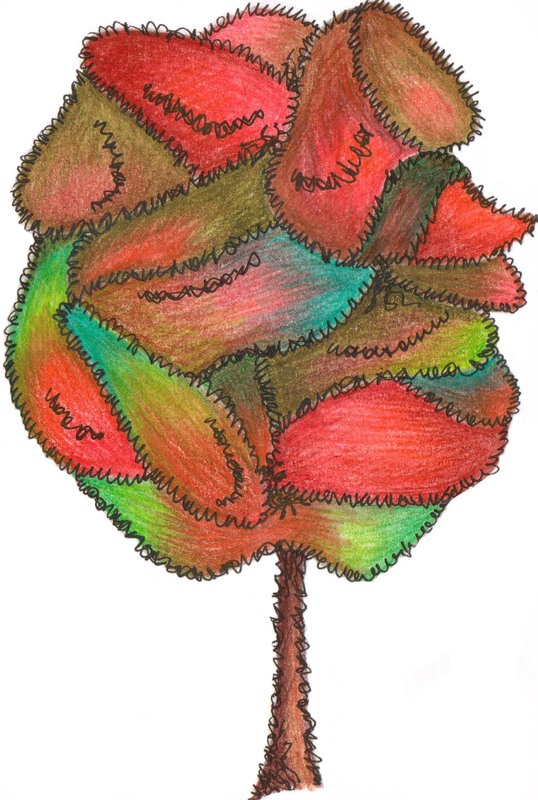 I’ve now started to re-work a couple of picture book ideas and have begun two new adult novels, one which will be in note form for the time being – ideas, character outlines, and a title, of course! The other is in the process of being written, and today I passed the 5,000 word mark. I can’t tell you how wonderful it is to get my teeth into it again. So, thank you Dorothea Brande for making me see that you have to make time to write, even when it appears you have none, and thank you to whoever invented half-term holidays, to allow me to create a little space in my head! Thanks Abi – as ever, words of practical wisdom. Ha ha ha! That made me laugh, Martin. I agree though that it is quite enlightening. I find writing late in the eve, when really tired, has a similar effect. I have to say, of the two, I enjoy the late night when tired writing as this is when my unconscious mind seems to spiral. Glad to see I’m not the only one daft enough to try this morning malarkey though ;o) If God pops in for a visit, you’ll be the first to know! I really enjoyed this post, Abi. Creative time is elastic, I reckon. Trying to produce a regular output per day is fine for factory production but I find my most efficient method is to ponder and jot, sometimes for several months, after which I’ll suddenly produce an easy 40,000 words of MS in an exhilarating couple of weeks of writing. Ripeness is all. As for regular free writing to keep things flowing, early morning or late evening – I find it’s all good, and I’d personally choose whichever time feels most dreamy. Yes, you’re right, Jenny. It’s strange how your post today seemed to chime with mine. Pondering and jotting is just as constructive, isn’t it – in fact, in a way it’s where most of the work is done. I have to remember that, so thanks for reminding me. We’ve spotted this before, Abi – how our posts often do chime. It’s lovely! I’m a post noon writer! I just get sidetracked early in the day, actually I’d write all night if I could (but hubby has to up early for work – and it seems a bit rude to stay away all night), but that’s when the creative juices flow, when everyday distractions die down and it’s just me and the laptop/notebook. I like evening when everyone else is out at various ‘things’ and I have the evening to myself, just to write. Enjoy your new writing ideas Abi! This really rang true to me… I am a very early riser by nature, and as long as I immediately start writing (instead of checking email, doing housework, cruising the internet, etc.) I’m golden. But break my routine and I’m lost. That’s when I’m mid project. Starting a new project is always hard going for me and I almost always end up needing to redesign my schedule to get going again. You’ve given me some really good tools for the next new thing I start! Thank you! Lovely post, Abi. 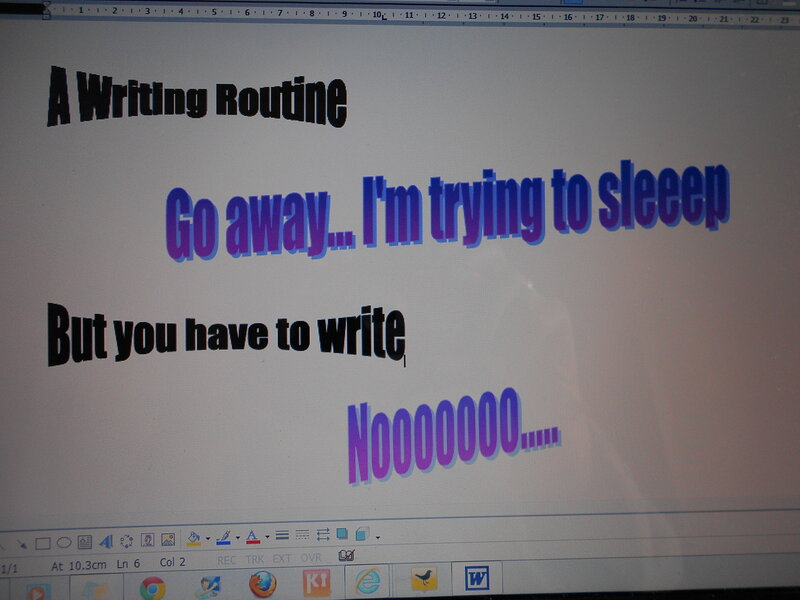 It’s so true that you have to make time for writing… and it’s so easy for everything else to get in the way! This is something I’ve struggled with too, and it’s very frustrating. Like you say, if you can even just claim back half an hour a day, it makes all the difference. It does, Em. And the thing is, once you have claimed back that time it grows – the half hour becomes an hour, and the hour becomes two hours… and thus *normality* is restored! Hope you are managing to get plenty of writing time in again now. Interesting to hear that you too start to go bonkers if you don’t write. I’ve had an enforced period of waiting and thumb twiddling lately, where I just couldn’t write. I nearly lost my marbles. Still not fully back in the swing…but I’ll get there. Waiting and thumb twiddling is pants isn’t it? Hope you get back into the swing of it too, Marnie. Hi Abi! Just sending you a lil note to let you know that I nominated your blog for an award. You’ll find more details in my latest post.